The creators of CEREC technology know that many people are likely to put off dental work that requires multiple dentist's visits to complete. So they used CAD/CAM (Computer Aided Design/Computer Aided Manufacture) technology to come up with a way to help dentists fabricate and place same-day restorations. 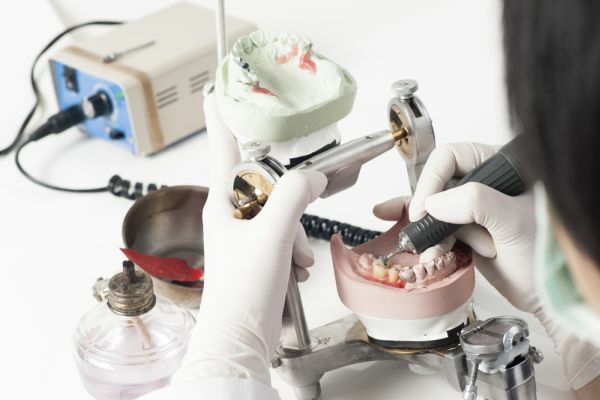 CEREC is used to make restorations like dental crowns, bridges, onlays and inlays. Before CAM/CAD technology, such restorations took a few days to fabricate. It all starts with an exam that helps determine the type of dental restoration a patient needs. The dentist will look at the tooth to determine how much damage they have to fix. If the tooth is only slightly damaged, the dentist may choose to fill it instead. If the damage is extensive, the dentist will choose either an onlay or a dental crown. If the tooth is missing, the dentist will choose a bridge. The dentist will numb the tooth and remove decayed and dying dental tissue. If the patient has a worn filling, that is what the dentist will remove first. Next, they will clean the tooth to remove any leftover debris. Lastly, the dentist will prepare the enamel to allow the restoration to fit well and adhere to the tooth. In order to make the restoration, the CAD/CAM system will need a 3D digital impression of the patient's teeth. The dentist will use a digital camera to scan the patient's mouth and take images of their teeth. The camera is set up to feed the image directly to a computer with CEREC software. The CEREC software processes the images and converts them into a 3D model of the patient's mouth, including the prepared tooth. The dentist uses the model to design a restoration that fits perfectly onto the prepared tooth and blends in with the rest of the teeth. During the design phase, the dentist will also choose a tooth color that matches the patient's other teeth. They will pick or fabricate a block of high-quality porcelain with that specific color. This is where the CAM part of CEREC technology comes in. Using the design created by the dentist, CEREC uses a milling unit to fabricate the restoration. Think of the milling unit as a printer and the dentist’s design as the document to be printed. The miller has a set of burrs that sculpt the block of porcelain into the shape of the onlay, crown or bridge. The resulting restoration has the exact dimensions, shape and color specified by the design. The dentist smooths and polishes the fabricated restoration and places it onto the prepared tooth. Now you can get that tooth restored without the hassle of living with a temporary restoration while you wait for the dental lab to fabricate the permanent one. There is no need to put off that dentist's appointment any longer. Set up one with our New Windsor office today.